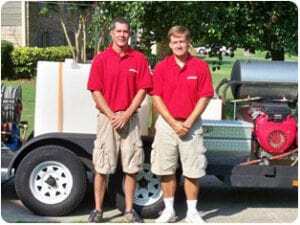 Superior Cleaning Service is owned and operated locally in Birmingham, AL by Philip Tatum and Mike Floyd. Having recently expanded our service area to include Tuscaloosa, AL, we are excited to serve our new customer base with the same courtesy and attention to detail that our current customers rave about. With over 15 years experience, we can provide you with complete and professional cleaning services for your home or business. Superior Cleaning offers reliable, high-quality customer care and service you can count on. The only thing better than affordable pressure washing is fast AND affordable pressure washing. Interested? Give us a call! With the help of the best tools and the best team in Alabama, we can have the exterior of your home and porch clean in no time at all, so don’t hesitate to give us a call! Ready to impress your friends with a great looking house, deck or driveway? Superior CLeaning is ready to provide efficient, fast and affordable service at a superior rate. Give us a call today! At Superior Cleaning, the most important thing for us is providing quality service at a reasonable price. Equally important to us is making sure that, as our customer, you are always happy and are assured that the job is being done right. As the owners, we make it our top priority to personally be on-site and involved with the whole cleaning process from start to finish. Superior Cleaning offers a wide range of pressure washing and sealant solutions to give you the best and most long-lasting results. Why settle for less than the most Superior services? With stellar customer service and quality cleaning you can’t pass up, we’re going to help you make your house the envy of the neighborhood. 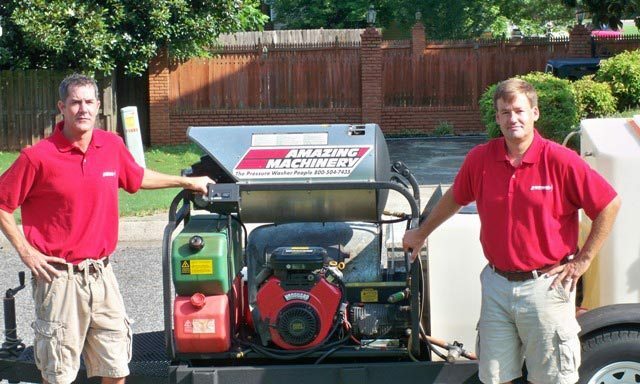 At Superior Cleaning services, our customers are our top priority and we will stop at nothing to continually provide the best pressure washing services around the Birmingham area. Need some proof? Read our customers’ independent reviews, and give us a call. Our work is 100% guaranteed. Don’t hesitate. Call today and find out how we can help you make your house the envy of the neighborhood.